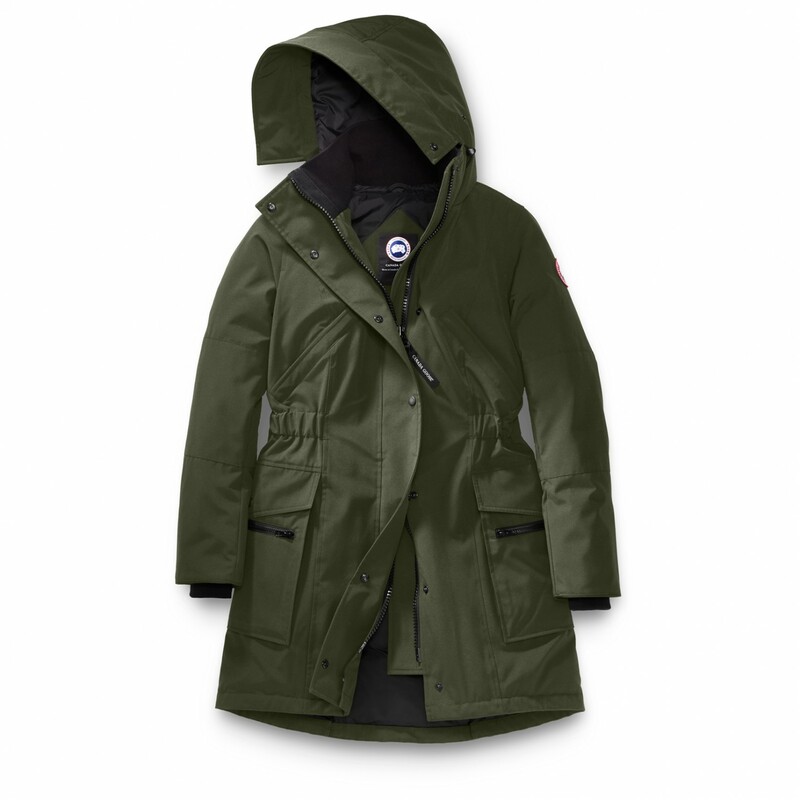 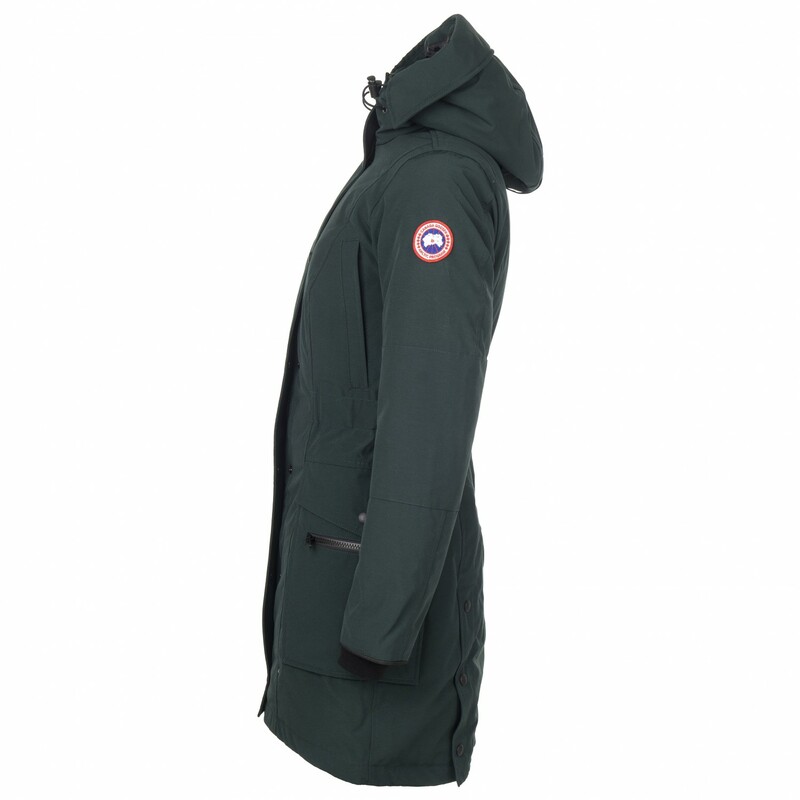 2 front pockets; 1 inner pocket"
Hand warmer pockets; Storm flap with snap buttons"
Made for the bitter cold winter - the Kinley Parka from Canada Goose is a warm winter coat with a very large and cosy hood for protection strong winds and snowstorms. 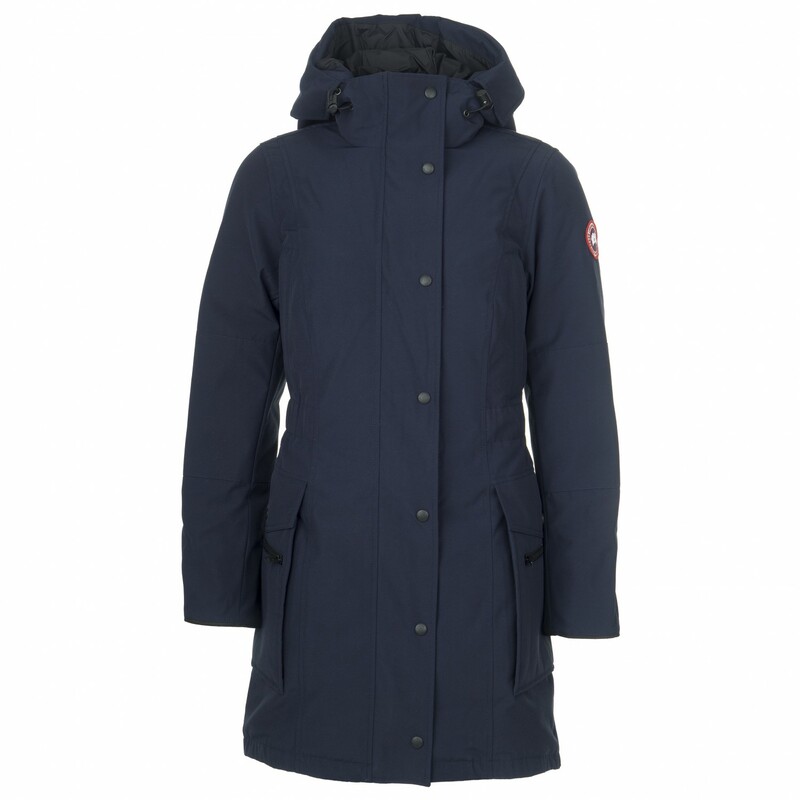 The high-quality Canadian goose down will provide excellent insulation, so temperatures ranging from -10 to -20 °C (depending on your perception of cold) shouldn't be a problem! 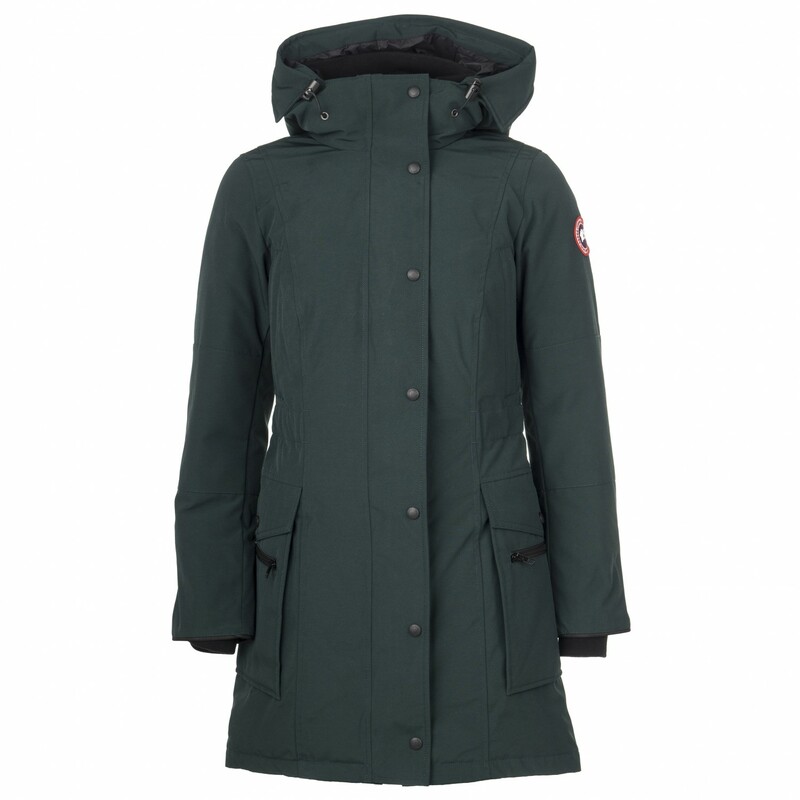 The stylish, feminine cut and the elastic waistband make for a great fit - perfect for an urban lifestyle. 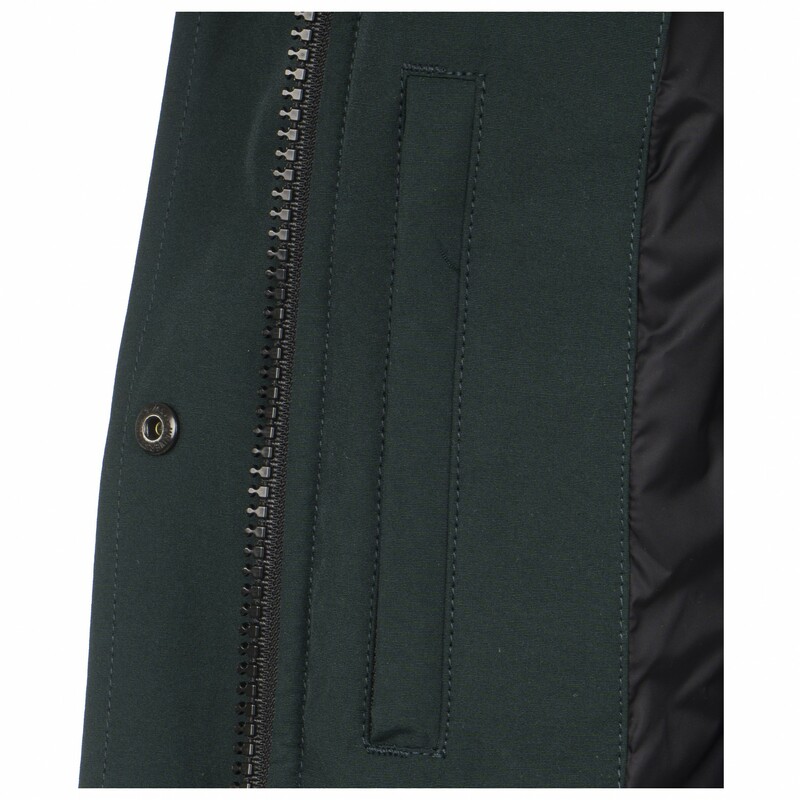 The down-filled storm flap over centre front zip is secured with snap buttons and is guaranteed to keep winds out and heat inside. 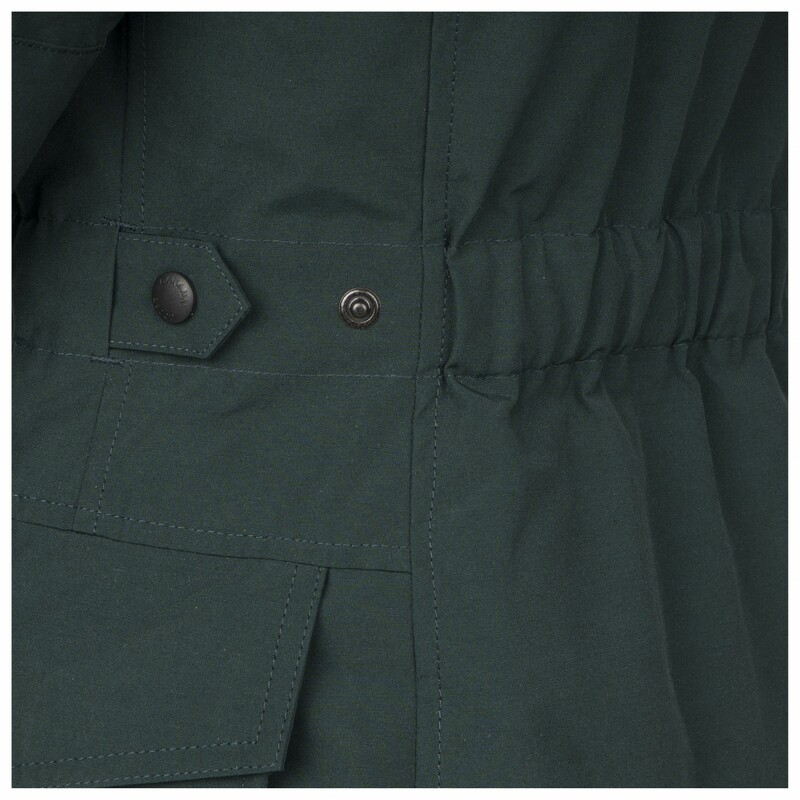 The two front pockets are lined with fleece, making them the perfect little hand warmers! 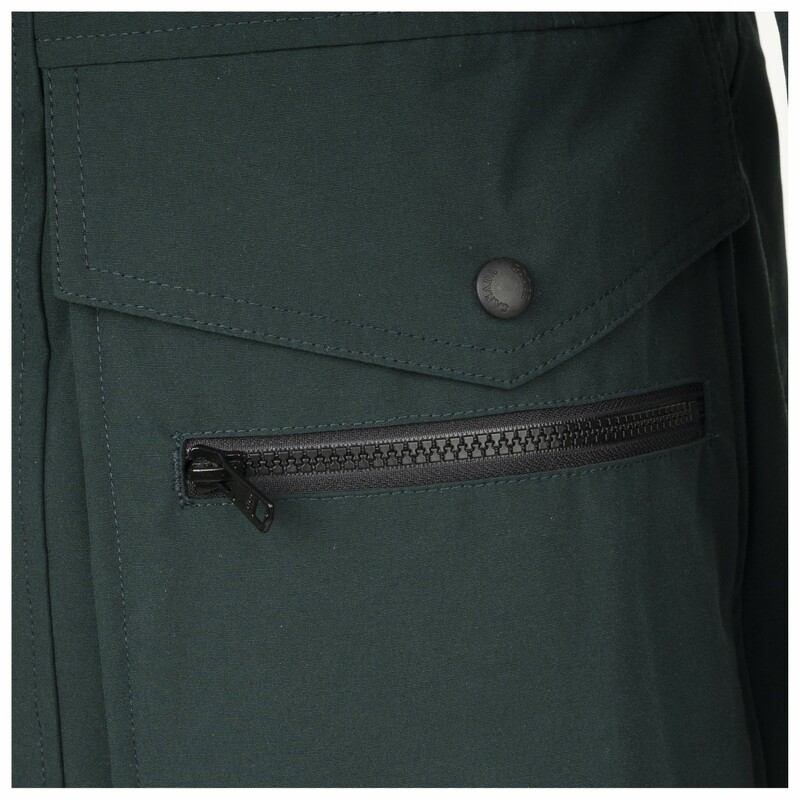 There is a zipped security pocket on the interior for storing your valuables. 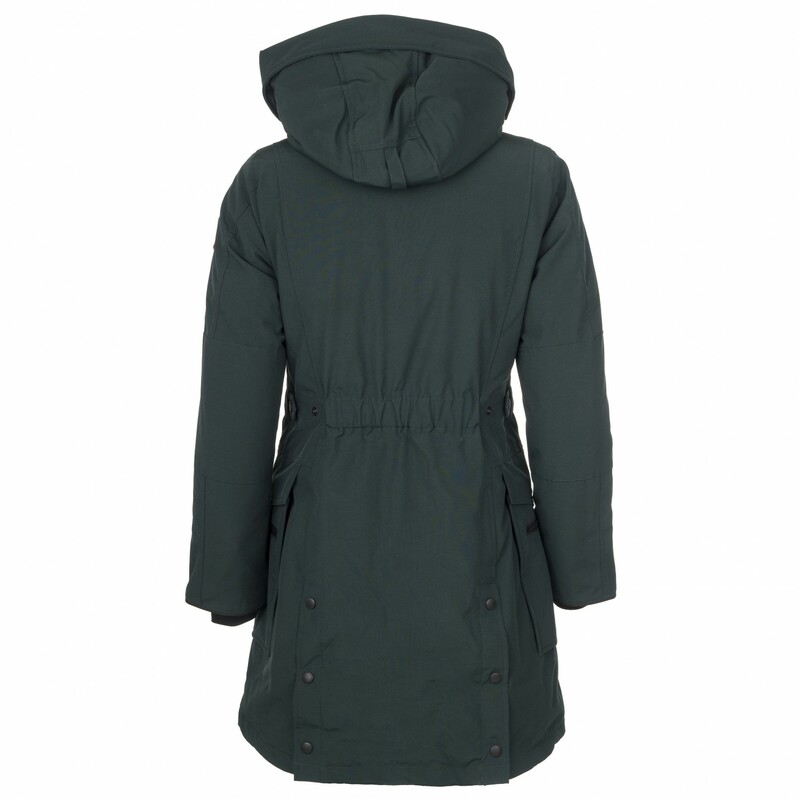 The elastic rib-knit cuffs on the Kinley Parka serve to keep the cold out and your body heat inside, adding the finishing touches to an already incredibly warm coat!